Whether you need a temporary location to house some of your things while you move or you’re looking for a permanent place to put the precious heirloom furniture that won’t fit in your house, consider Pleasantdale Storage of Doraville. We proudly provide convenient and affordable self storage to tenants in the Doraville area. When you choose from our wide variety of options, you’ll be sure to find a storage solution that suits your needs. We take special care to keep our premises secure. You can rest assured knowing your unit will be in a fenced and gated area with security cameras recording 24/7. If you plan to store temperature-sensitive items such as instruments or records, we have climate-controlled units available. For our tenants who need long-term parking for vehicles such as boats, RVs, or cars, we offer covered areas of multiple sizes. We understand that our tenants often have busy schedules and may need to get into their units quickly and easily at odd hours, so we offer 24-hour, drive-up access. If you need to charge power tools or plug in your cell phone while you visit, we have power available in some of our units. Let us know if you’d prefer a unit on the ground floor, and we’ll do our best to accommodate you. Whether you need packing supplies for your belongings or a truck to transport them in, we have everything you’ll require for a hassle-free move. Paying your rent is easy when you use our online platform; you can complete a one-time payment or schedule automatic payments that will go through each time your bill is posted. If you don’t currently have a permanent mailing address, we’ll accept packages on your behalf and turn them over to you at your earliest convenience. Don’t hesitate to ask if you have any questions about our services. One of our extensively trained property managers will be happy to have a discussion with you. If you’re searching for secure self storage in Doraville, GA, Pleasantdale Storage of Doraville has you covered. Call us today to find out what we can do for you. We will be open on Memorial Day, May 28th, from 9am – 2pm. Great storage facility! Great customer service, clean premises, affordable, and convenient. 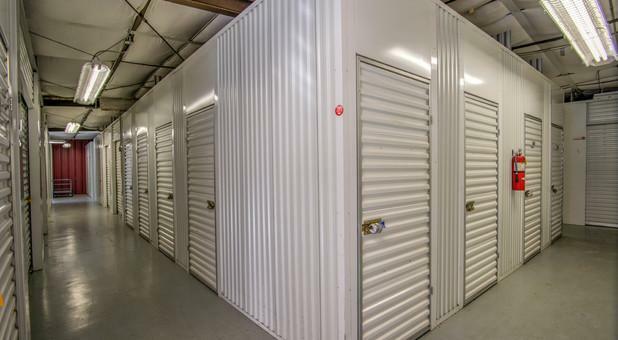 I would highly recommend this company to anyone seeking a storage facility. My initial visit was very professional and friendly. Every month I receive a reminder email with the current charges. We have had our unit for three months and have no complaints. The process of getting the unit was smooth and easy, the automatic billing has been correct (including the special pricing for the first couple months and then the transition to regular pricing), and access has been available whenever we need it. Our items are staying dry and secure. My first experience with Pleasantdale storage was/is the best. Staff was wonderful... very helpful. I am a very happy new customer. Even though I had already decided to go to another local storage provider in the area, John's sincere personality won me over. No deal compares to honest great personal energy! Thank you again for making this a enjoyable, simple, easy relationship-which I look forward to continuing.